There is not a shred of doubt that OnePlus has been on the task of making some of the best smartphones in the Indian smartphone market right now and with that, it has already made its name among the top ranks. The Chinese OEM’s top of the line phone currently remains the OnePlus 6T, and although it has already been five months since the launch of this phone, it manages to stand ahead of other recently launched devices which are happening currently in the sub Rs 40,000 segment. The phone, like you would expect, packs some of the best internal specifications and as such, exceeds expectations in the performance department. We decided to point out some of the nitty-gritty details of the OnePlus 6T which we noticed after using it for five months. The first and foremost thing that clicked on our minds while talking about the OnePlus 6T was its performance with large resource demanding games like PUBG Mobile or even day-to-day tasks. However, to the delight of all OnePlus users, the OnePlus 6T is the kind of phone which makes gaming a breeze on it. It’s possibly the best Android phone to play PUBG Mobile right now- the AMOLED screen and the lag-free experience adds up for a great experience. And on the other side, we have OxygenOS which is optimised so perfectly and OnePlus is rolling out monthly security updates on time as well. The OnePlus 6T simply cannot be dismissed without talking about the camera. Even after five months of usage, the device remains undefeated in this price range when it comes to having a quality imaging setup. It doesn’t offer cameras as good as the ones present on the Google Pixel 3 or the Samsung Galaxy S10+, but it does pack a punch when compared to the sub-Rs 40,000 smartphones. Also, we have installed the Google Camera APK on our OnePlus 6T which delivered better performance than the stock camera app. The best part is the NightShift mode has been ported successfully to the OnePlus 6T, meaning you’ll be able to shoot better images in low-light situations. A Dash Charger in its box accompanies OnePlus 6T, and it is one of the benefits which simply comes with this device. The Dash Charger makes the battery go from 30% to 90% in a matter of 40 minutes. The 30W Warp Charger which we get with the OnePlus 6T McLaren Edition is a step ahead of the standard Dash Charger and charges the device even faster. Overall, there is no doubt about the prowess of the OnePlus 6T, but some of the other mentions which we feel are noteworthy for OnePlus 6T include the extremely optimised OxygenOS which is undoubtedly the best custom UI available for Android in the market right now. During our usage, we found that the UI was a breeze no matter what you demanded out of it. 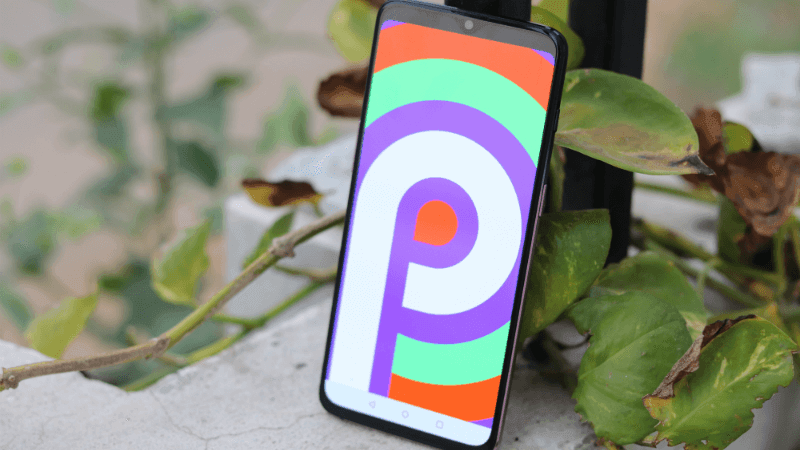 The OnePlus 6T runs Android 9 Pie based OxygenOS 9 out of the box and it’s one of the feature-rich Android skins out there. Lastly, we noticed that the fingerprint sensor on this device which resides under the display tends to work a little slow at rare occasions, but given that it is the first generation of such sensors we believe that OnePlus will have ample of time to improve. There’s no wonder it’s great to show off to others, but in day-to-day usage, the fingerprint scanner just doesn’t work at times. This is a similar problem with all the in-display fingerprint scanners like the ones on the Galaxy S10 series. Another major drawback on the OnePlus 6T is the lack of 3.5mm headphone jack. Well, for PUBG Mobile players, using headphones is a must because the sound is everything in Battle Royale games. Some might argue that you can use the Type-C headphones, but what if you want to charge and play the game simultaneously? Well, in that case, a 3.5mm headphone jack comes in really handy. This is the reason why I still play PUBG Mobile on a two-year-old OnePlus 5T and the game runs extremely good on that phone too. A long-term OnePlus 5T review with Android 9 Pie is also coming really soon, do check back TelecomTalk in a few days. With all these features still shining on the crown of OnePlus 6T, it is safe to say that the phone remains one of the best buys under the Rs 40,000 price segment. There is also the argument that while the OnePlus 7 launches, the price of this device will go lower (or it might get discontinued), however, there is a good chance that even then, the OnePlus 6T will make up for an utterly reasonable buy. At the moment, it’s unknown when the OnePlus 7 will be coming, but if you’re in the market for a phone that blazes through everything, you can still choose the OnePlus 6T.